Admittedly, I have always been a skeptic of art therapy until recently. I didn’t understand why psychiatric units included occupational therapy into the mix, where suicidal people painted birdhouses. However, having recently joined up with a group of women to paint free form, I now understand that this creative form of expression can access emotions on a deep level and facilitate healing. For starters, in a 2016 study published in the journal Art Therapy, 39 participants made art using collage material, modeling clay, and/or markers. After they completed their work, they were invited to share any aspect of their work or their experiences verbally with the group. They were also asked to share a brief written description of their experience. Researchers measured cortisol levels before and after making art and found a significant reduction in cortisol after making art. In another 2007 study published in Psycho-Oncology, 60 cancer patients on chemotherapy participated in once-weekly art therapy sessions involving painting with water-based paints. The results showed that there was a reduction of depression, anxiety, and fatigue in the patients who participated in four or more art therapy sessions. Finally, I found a 2001 review published in West Journal of Medicine by art therapy educator Shirley Riley about the impact of art therapy on adolescents with depression. Art therapy has a high success rate with adolescents because it engages the teenager with his or her emotions in a nonthreatening way that offers a form a communication with the therapist. Of course, plenty of adults have a hard time opening up to a therapist, as well. Many of us express ourselves more easily and more accurately with images and pictures rather than words. Painting a picture, shaping a piece of clay, or assembling a collage express an inner world that can’t always be articulated in words. Symbols and graphic depictions permit the patient a little distance from his or her dilemma, while granting the therapist insight into the patient’s emotions. The creative process of making art and choosing metaphors allows the therapist and the patient to address the problem in an alternative way that works toward finding a solution. A 2015 study published in The Arts in Psychotherapy found that when persons with personality disorders were treated with art therapy, they improved in five areas: sensory perception; personal integration; emotion/impulse regulation; behavior change; and insight/comprehension. Patients experienced art therapy as a more direct way to access emotions, compared to verbal therapy; it was found to offer a specific pathway to more emotional awareness and constructive emotion regulation for persons with this diagnosis. First, in art therapy, sensory inputs mediate dynamic mind-body interactions. The manipulation of art media and the weekly generation of new creations in a supportive interpersonal context target sensory-emotive-cognitive processing areas of the brain that are needed for psychological transformation. Art therapy provides the ideal conditions, they assert, with the combination of creativity and support, to promote resiliency and coping, both of which are critical for the generation of and survival of new neurons. 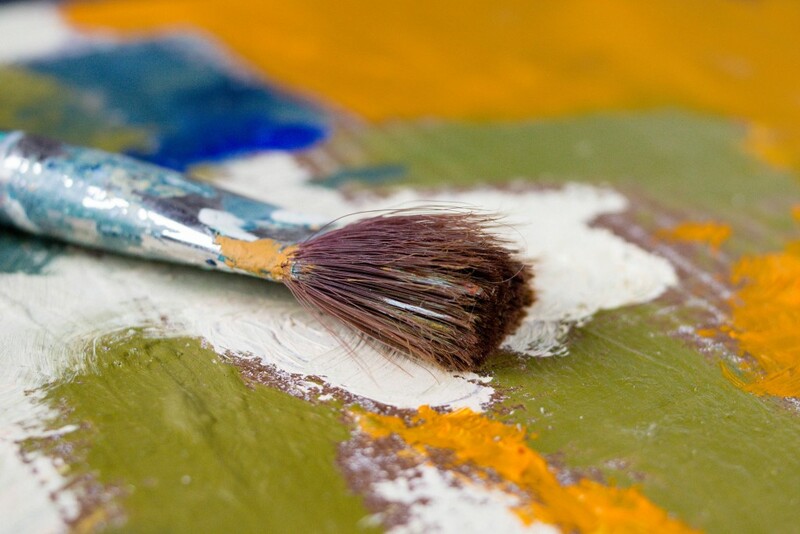 According to research on neurogenesis, art therapy delivers the right context for new neurons to endure and to migrate to the hippocampus, a critical part of the brain for emotional regulation. By engaging different parts of the brain in a supportive setting, art therapy allows new neurons to link to existing networks and become functional. Hass-Cohen and Findlay claim that art therapy also has the top-down effects of mindfulness, including attentional and cognitive changes, stress reduction, and a thickening of the brain’s cortex, associated with higher brain functions like thought and action. Finally, Professor Semir Zeki, Professor of Neurobiology and Neuroesthetics at University College London, has studied what happens in our brain when we look at art. If the piece is beautiful (or we perceive it to be beautiful), there is a spike of activity in the pleasure and reward centers of our brain, generating the “feel-good neurotransmitter” dopamine—the same effect we feel when we are in love. I have yet to make anything beautiful in my class. I’m not sure I will ever produce a picture that will be worthy of a dopamine rush. However, I am finding the process of translating my emotions into images an effective therapy for learning some self-compassion and moving toward healing. ← What Is Your Body Telling You About Depression? Thanks for writing about art therapy! It has transformed my life and I love it! I was also a skeptic when I was first introduced to art therapy. It has helped me in many of the ways described in this article and more. During my exploration in art therapy I also discovered I had some hidden artistic ability. The first piece of art I made was created 3 years ago after my art therapist handed me a stack of my abstract paintings that accumulated in her office. That day she challenged me to create something with all the paintings. I ended up creating a 48×24 collage. I was encouraged by a friend to enter it into a juried show at a museum and it was a chosen and exhibited! There is so much I can say about my art therapy journey and experience, but I will stop here. For years I have practiced my own form of art therapy. I try not to think about colour, but try to notice what colour I’m feeling. I once had an argument with myself over the colour orange. I don’t like orange. I was feeling a strong pull towards using it. And that’s how the conversation started. ” I don’t want to use orange.” ” use it anyway.” came the reply back to myself from myself. I did use the orange because that was part of my exercise; to just let things flow as they need to flow. when I finished with the orange I found myself in tears and something in me had shifted. Art has a way of expressing what we don’t even know we are feeling. sometimes I am in awe of what is expressed. I can’t draw to save my life, but I can put colour on paper and let my pencils go wherever they want to go. I share my art with my therapist too. when I am well I don’t have the same need to express on paper. Love this article T! You’ve come a long way with painting bird houses and mindfulness. Reminds me of a really terrific author who once wrote ‘No, not that. Please not that. Not the rubber chicken, hourly group therapy, Psychotic women yelling profanities down the hall, mentally disabled teenagers hitting on me as I try to paint a pathetic birdhouse in occupational therapy, no fresh air or sunlight’. Art therapy is excellent. As is music therapy, aromatherapy, electro-convulsive thera….OK that last one’s a stretch. I have been doing Art therapy for 30+ years with depressed and mentally ill people with a good degree of success. Thank you for sharing this interesting post about a new treatment that not many people may be aware of. I’m sure it could open up the eyes of many who suffer from depression and cause them to seek out this treatment if others haven’t worked out as well for them. You are doing wonders for those of us in the field of mental health and for that I thank you!